January shouldn’t equal winter blues. If you’re already feeling the bite of the chilly air and your home is struggling to cope with the cold snaps in the weather, you need to consider what you can do to prevent the permanent wearing of half a dozen layers within your own four walls. Your home should be a place of warmth, shelter and calmness no matter how snowy, freezing or icy it is outside. Take a look at what you can do to ensure your home runs efficiently and you don’t waste your hard-earned money on gas and electricity bills. If your home is constructed from single skin brick walls and has zero loft insulation, then you are making it all too easy for every little bit of heat to escape from your humble abode. Employ the services of a top-notch builder and get some foam insulation into the roof spaces of your home. Consider upgrading the thickness of your walls and think about installing floor insulation to make your home more energy efficient. This means that your heating will not need to be on constantly and your dwelling will be able to retain heat. It’s vital that you upgrade your window fittings so that they don’t allow those chilly arctic blasts to permeate through your home. Head to one of the many eurocell suppliers to get hold of some reasonably priced and incredibly effective UPVC casements for your double glazing. An effective set of windows will help your home retain that all-important warmth while at the same time preventing any cooler air from venturing into your pad. There’s nothing more cosy and comforting than settling down on a cold winter’s evening to watch your favourite show on TV with the fire roaring and heating up your chilly feet. While some people love the period features of a cast iron Victorian mantle and surround, the multifuel stove is becoming ever more popular. Get your chimney swept and your flue inspected before you alter your fireplace or use it for the first time. By burning the odd log or two, there may be no need to switch on the heating and the chimney breast will help conduct heat to the upper floors of your home. Although it may sound a tad odd, if you take a foil covered piece of thin card and place it behind your radiators, you’ll be maximising the amount of heat radiated back into your room. The room will heat up quicker and may require less energy usage. While it may look a little unusual and your friends may wonder what on Earth you’re doing, it’ll be worth it when your home is warm, and you’ve saved a few pennies on your gas bill. Heating up your home can be the easy part, it’s maintaining the heat that can be tricky. 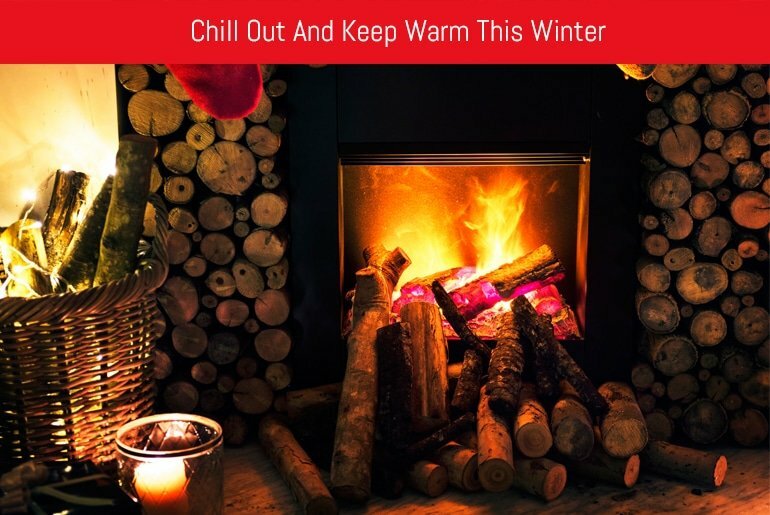 Follow this advice, and you can ensure that your property remains chill free this winter.